Ronen's Opening Survey: Openings from World Championship Matches (7 part series). D17: QGD Slav: Wiesbaden variation. We are going to follow and enjoy the World Championship Match in May, with ICC Chess.FM LIVE commentary, and in a new series GM Ronen offers us a Special Opening Survey Series: he will be investigating openings played by the two contenders for the World Championship 2012: from Anand's opening in his previous Championship matches against Kramnik and Topalov, to Gelfand's openings in the candidates match that led the Israeli super-GM on to the great challenge. Ronen will be with us all the way through the big match, with updates and analysis on the openings and novelties played by World Champion GM Anand and challenger GM Gelfand. Ronen's Opening Survey: Openings from World Championship Matches (7 part series). D17: QGD Slav: Wiesbaden variation. We are going to follow and enjoy the World Championship Match in May, with ICC Chess.FM LIVE commentary, and in a new series GM Ronen offers us a Special Opening Survey Series: he will be investigating openings played by the two contenders for the World Championship 2012: from Anand's opening in his previous Championship matches against Kramnik and Topalov, to Gelfand's openings in the candidates match that led the Israeli super-GM on to the great challenge. 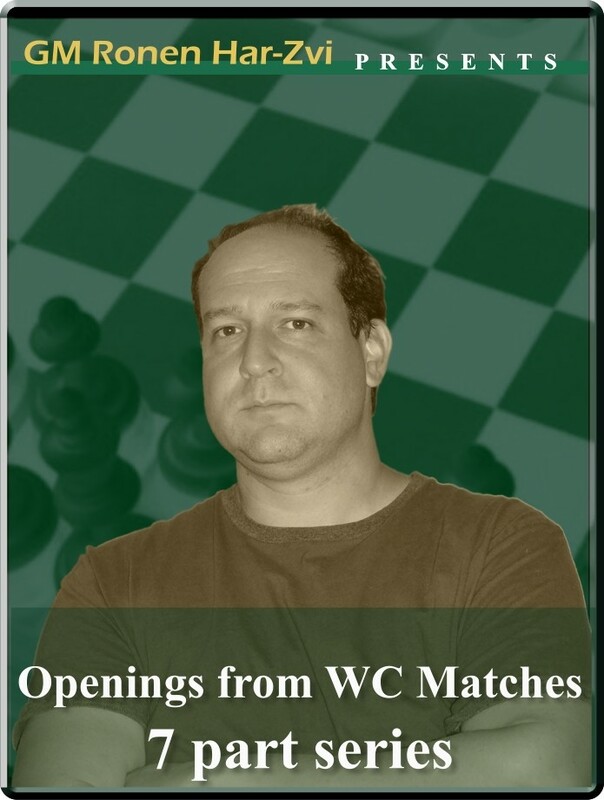 Ronen will be with us all the way through the big match, with updates and analysis on the openings and novelties played by World Champion GM Anand and challenger GM Gelfand.